On Monday night I caught The Golden Age of Canals, one of those wonderful documentaries that BBC4 insists on sneaking out without telling anyone. 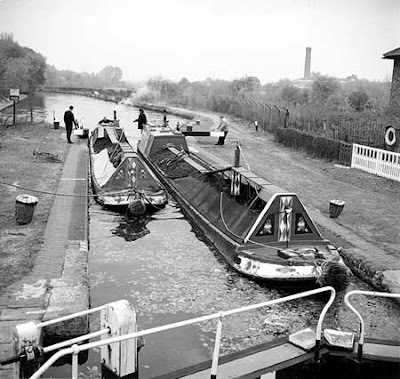 Although it’s not clear from it title, it was primarily about the movement to prevent British canals falling into dereliction following a final later flowering during World War II, rather than an in depth exploration of their initial creation. One of the key figures in the establishment of the key lobbying conservation movement the Inland Waterways Association was Tom Rolt. He is someone I’ve been becoming increasingly interested in. He was along with figures like Kenneth Hudson at the vanguard of the creation of the practice of Industrial Archaeology, and was not only involved in protecting canals, but was an early pioneer of preserving railways. Pleasingly, he partly owes the success of his first book, Narrow Boat to H.J. 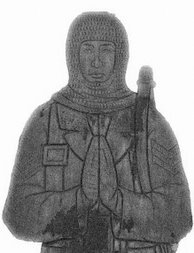 Massingham, who is someone I’ve blogged about before. The rise of an interest in the industrial past is something that has been largely neglected in the huge literature generated on the relationship between landscape and environment and the creation of particular narratives about what it means to be ‘English’. Generally speaking, the meta-narratives have been about the anti-modernist and predominantly pastoralist visions of the Neo-Romantic movement (though to be fair David Matless’s excellent Landscape and Englishness is far more subtly argued and contains a number of pages on Rolt). However, in the 1940s and 50s we can begin to see an alternative vision of a distinctively English landscape constructed around the industrial past – interestingly this appears at first to involve particularly steam trains and canals. These are elements of technology that we clearly receding in importance, and significantly I think were physically able to escape the confines of urban landscapes and strike out into rural landscapes. For the first time, it appears people were distinguishing between an interest in technology and modernist agendas. Of course, as Alexandra Harris’s recent Romantic Moderns makes clear the Neo-Romantics were as much Neo- as Romantic and artists such as Eric Ravilious and John Piper were interested in depicting relics of older industry. However, people like Rolt were perhaps the first to flag up the importance of industrial technology, providing it with some sense of time depth, and importantly, flagging it up as something worth saving.